Two helicopters await inspection at the Robinson Helicopter Company manufacturing plant in Torrance. The company is the largest helicopter operator at the city airport's and the world's leading manufacturer of civilian helicopters. 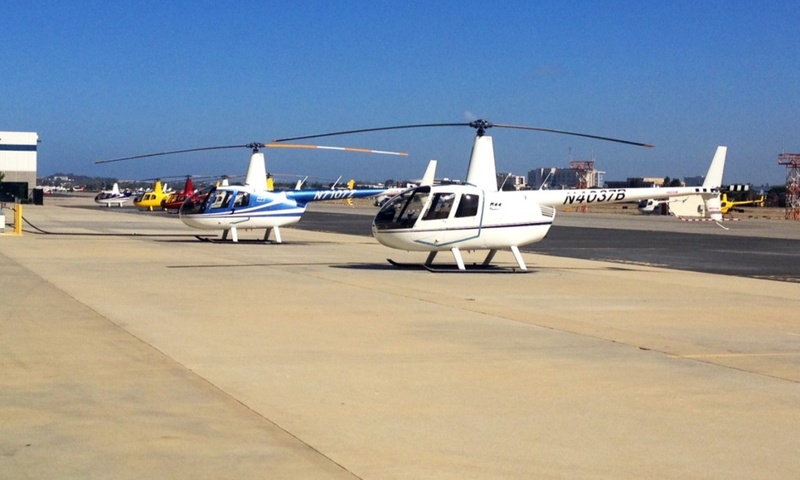 Helicopter routes in and out of Torrance airport are up for some changes. The Federal Aviation Administration wants L.A. County to figure out how to solve complaints of noisy, low-flying helicopters. KPCC's Erika Aguilar reports on a test that could become a model for quieting the rotors that bother so many people.